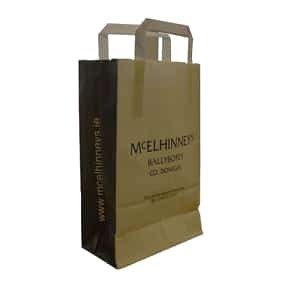 Kraft paper bags with tape handles are a reliable strong alternative to a polythene bag. 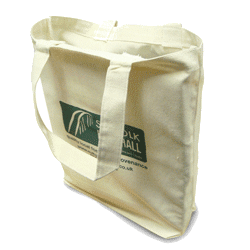 Kraft bags are perfect for the food and retail industry. 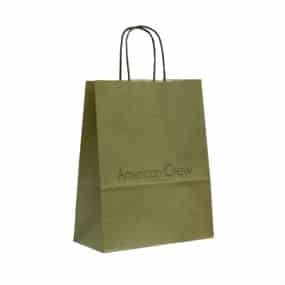 Tape handle kraft paper bags are tax exempt and environmentally friendly. 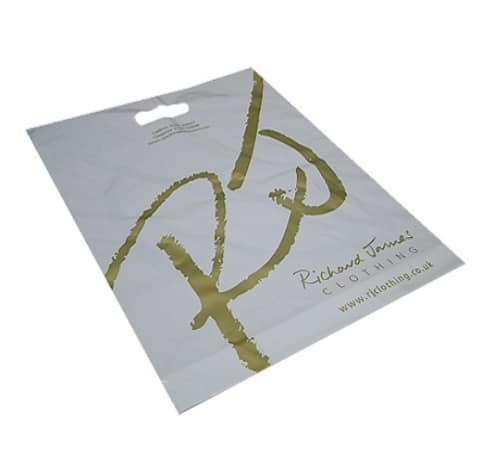 Flat tape handle kraft paper bags are available in white and brown kraft and are usually around 70gsm but other thicknesses are available. Kraft paper bags with a tape handle use uncoated spot pantone colours and process print procedures. When printing on brown Kraft paper we would recommend dark colours. Flat tape handle paper carriers have little print restrictions. Lead times subject to stock and print. Why flat tape handle kraft paper carrier bags? 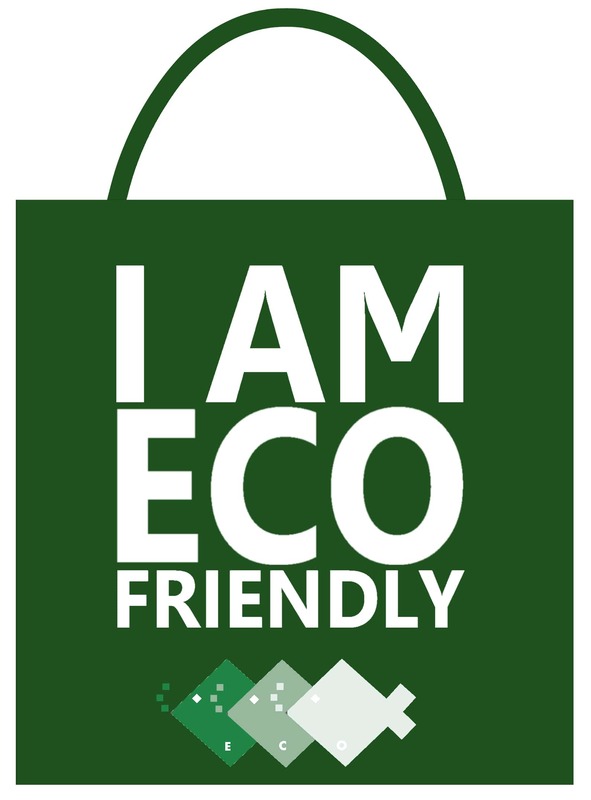 Kraft paper bags are Eco friendly which means as a retail shop, you do not need to charge your customer for a bag. Flat tape handles are strong and can hold a heavier items. 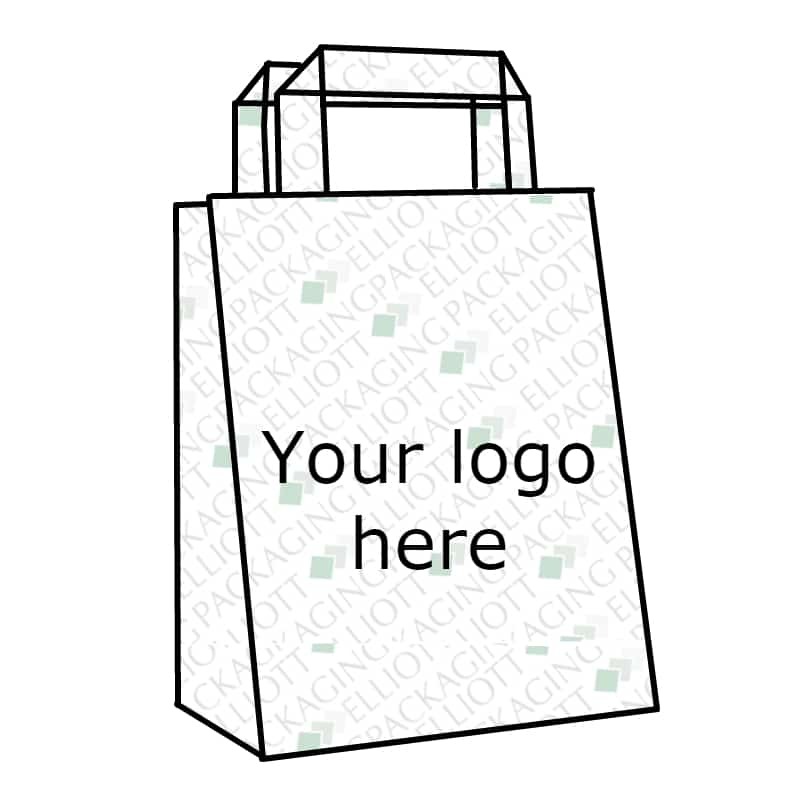 Tape handle kraft bags are perfect for printing on, they have four faces which can all be branded!